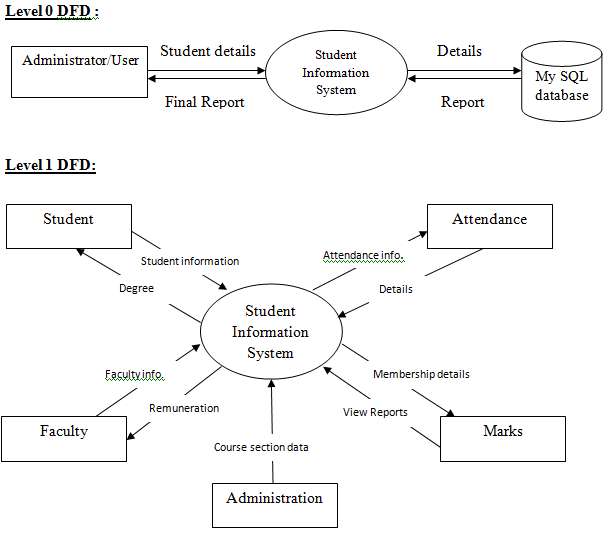 A Data Flow Diagram (DFD) is a graphical representation of the “flow” of Student Information System. A data flow diagram can also be used for the visualization of Data Processing. It is common practice for a designer to draw a context-level DFD first which shows the interaction between the system and outside entities. This context-level DFD is then “exploded” to show more detail of the system being modeled. A DFD represents flow of data through a system. 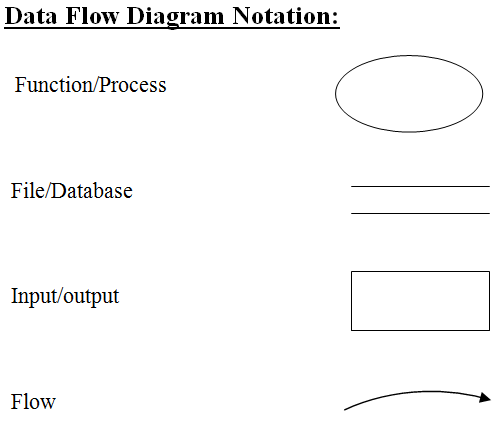 Data flow diagrams are commonly used during problem analysis. It views a system as a function that transforms the input into desired output. A DFD shows movement of data through the different transformations or processes in the system. Dataflow diagrams can be used to provide the end user with a physical idea of where the data they input ultimately has an effect upon the structure of the whole system from order to dispatch to restock how any system is developed can be determined through a dataflow diagram. The appropriate register saved in database and maintained by appropriate authorities. Starting from the registration process, a student may come to the college for the admission in a particular faculty and for a particular course and subject matter. He/She submits the registration form and student registration form processing is handled by the College Administration Information Process. College administration: College administration stores the student information in student information record. It too collects information from the account database to know about the student’s payments records and from the faculty process about the faculty information.  It sends the course information to the course information process for further processing. 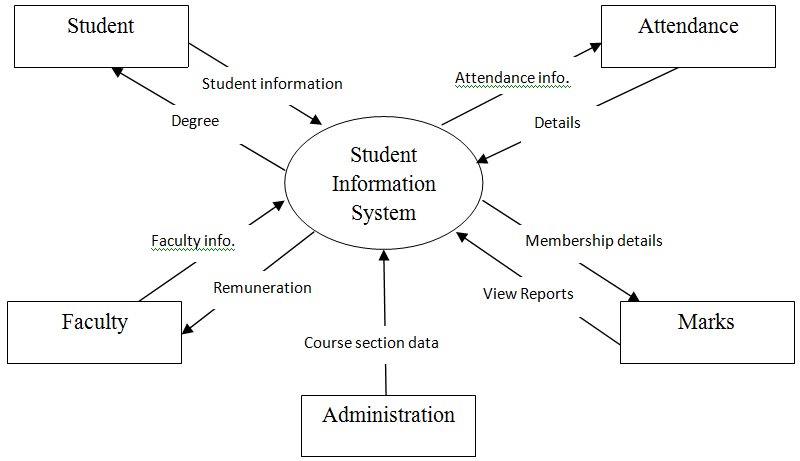 Student Details: In Student Details the whole personal details of any student is stored. Which can be edited only by authorized administrator. And can be used to viewed through anyone for any particular details. Faculties: Faculty information which will be useful for the instructors and separating the sections of the students. Attendance: College Attendance keep track of the total attendance of any particular student. It stores the attendance data of the students into the database. It too may access the student database for updating the student attendance details and to categorize the students relating to various sections and semesters. Course: Course Information accepts the course information from the College administration. It sends the course completed information to the course completed database. And offer schedules to the students, assignments to the faculty. Examination: Examination takes the course details and course completed details from the Course examination database and prepares the examination schedules and offers it to the students. It is responsible for processing all the information’s related to the examination.